Two rounds of snow are on the way. Travel will be messy tomorrow morning. 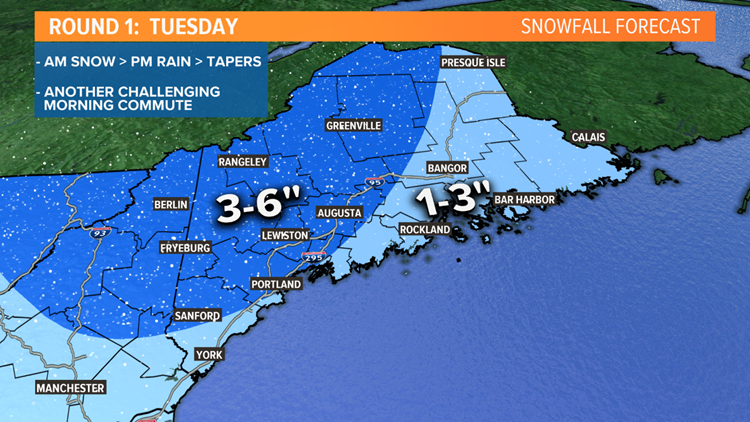 We’re about to get #DoubleDoinked by two rounds of snow as storms impact Maine through the middle of the week. Somehow we’ll still end up in better shape than Chicago Bears kicker Cody Parkey. Late tonight, a warmfront will enter New England. Snow will break out during the pre-dawn hours and because it’s been so cold, roads will instantly get slippery. Snow will continue through the morning commute, challenging drivers. 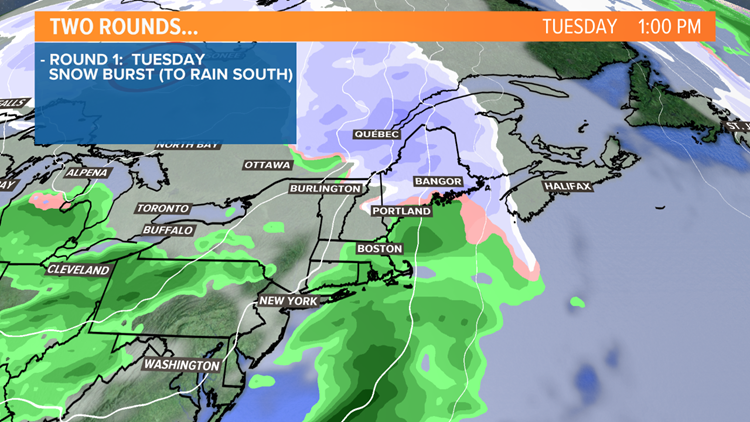 Then, mild air will begin to flow in off the ocean later in the morning and snow will transition to rain as it tapers off during the middle of the day and afternoon. Outside of some drizzle or flurries, Tuesday evening and night should be pretty quiet with a lull in the action. 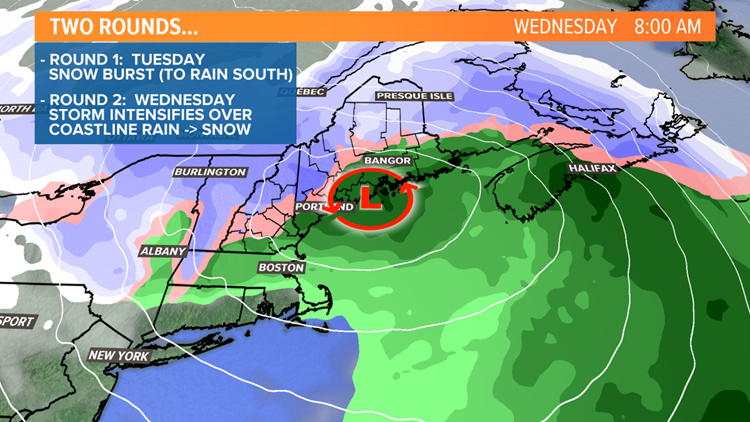 A second storm will form early Wednesday morning, throwing heavier rain and snow back into Maine. 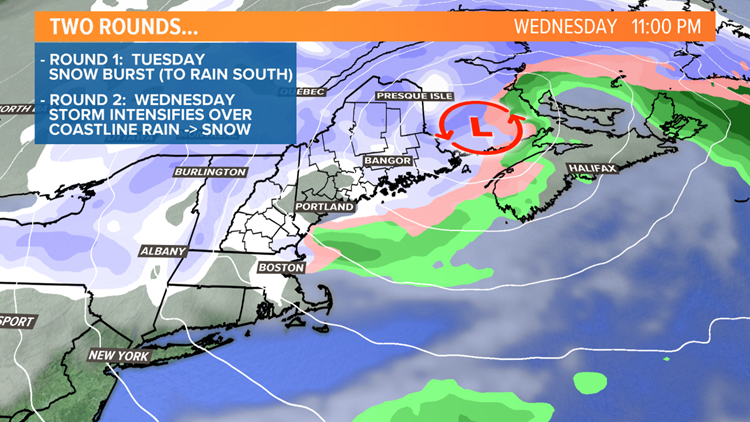 The track, directly over the Maine coastline, will keep mild air around making it difficult to accumulate snow for a time Wednesday morning. But as the storm strengthens, the atmosphere will get colder and snow accumulation will become more efficient especially through the foothills, mountains and north. 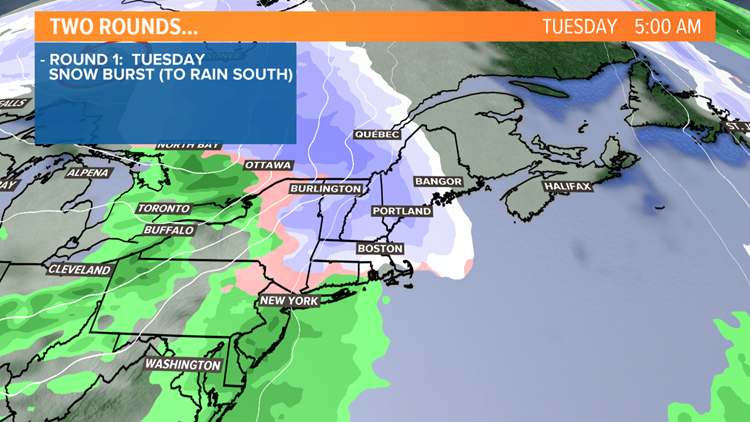 The second storm system will pull away Wednesday evening, with more Arctic air poised to pour in for the end of the week. 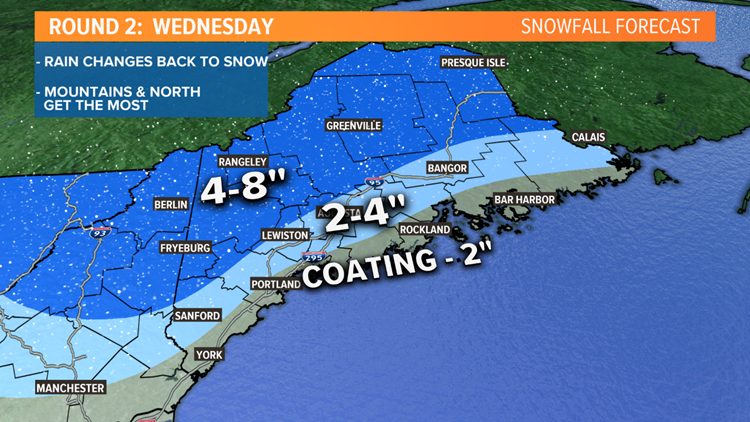 When it’s all said and done, the two pieces together may produce double digit snow amounts through the mountains and north country.